It's a popular maxim in news reporting. News directors and editors know that people are fascinated by the negative. Accidents, violence, and tragedies get us talking. Sadly, the same is true in customer service. Your customers are naturally wired to focus on the negative. Great service feels good, but service failures are what people remember. This post examines customers’ negativity bias. I’ll share some compelling evidence, the science behind it, and offer some solutions. Customers will tell 10 people about a bad experience, but only 5 people about a good experience. This venerable stat came from a 1980 study conducted for Coca-Cola by Technical Assistance Research Programs, Inc. (TARP). John A. Goodman, one of the study’s authors, shared some additional insight in his book, Strategic Customer Service. His research across other industries consistently showed that customers will tell twice as many people about a bad experience than they will a good one. Goodman found that online, the ratio of negative to positive word of mouth grows to a whopping 4 to 1. In The Effortless Experience, authors Matt Dixon, Nick Toman, and Rick DeLisi examine the impact of good versus bad experiences on customer loyalty. 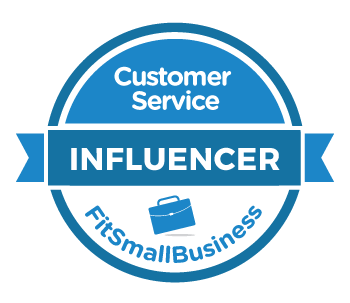 They found that customer service interactions are nearly 4 times more likely to drive disloyalty than loyalty! On a micro level, wait times provide another great example. Research reveals that when people get to choose which line to stand in, such as at the grocery store, they get agitated when they pick a slower line. Oddly, they don’t feel a corresponding positive feeling when they choose a faster one. Clearly, customers are focused on the negative. Our brains are wired for a negativity bias, which means we are much more likely to recall and to be impacted by negative experiences than by positive ones. In his book, Your Brain at Work, David Rock explains that our brain’s emotional center, called the limbic system, is responsible for this negativity bias. The limbic system fires up more intensely when it perceives a danger compared to when it senses a reward. The arousal from a danger also comes on faster, lasts longer, and is harder to budge. So, negative feelings are more memorable because they’re more powerful. But, are we naturally drawn to negative stories or do we just remember them better? Research conducted by Marc Trussler and Stuart Soroka suggests that negative stories are indeed more alluring. They conducted an experiment where subjects were asked to read political news stories. Participants were presented with a mix of positive, negative, and neutral headlines. Trussler and Soroka found that positive news stories were 26 percent less likely to be read than negative ones. Customers might have ten positive interactions with a company and yet a single negative experience can still compromise their customer loyalty entirely. That certainly holds true here. Understanding your customers’ natural negativity bias can lead you to a few solutions. Customers rightfully expect companies to do exactly what they say they’re going to do. For example, if you go to a restaurant and order a meal, you expect to get the meal you ordered, prepared properly, and delivered in a timely fashion. This isn’t rocket science. It certainly isn’t the stuff of legend. It’s table stakes. I call these basic promises. Breaking your basic promises is extremely aggravating to customers. You can explore how it feels with my interactive guide to stuff your customers hate. Before you go out and add that awesome new feature to your product, make sure the basics already work. In their book, Uncommon Service, Frances Frei and Anne Morriss make a compelling case for trade-offs. Companies can’t excel at everything. It’s just not feasible. So, a better strategy is to be really, really good at something your customers care about and let the less important areas slide a little. In-N-Out Burger provides outstanding food and great service, but the trade-off is you might spend 15 minutes waiting in the drive through line (it’s so worth it). Southwest Airlines allows people to fly at low cost, but the trade-off is there’s no assigned seats and no first class. IKEA sells stylish furniture at a low-cost, but the trade-off is their furniture isn’t built to last for generations. The point is you can’t be all things to all people, so be the best you can be at something your customers really want. A customer who complains and is satisfied by the resolution is 30 percent more loyal than a noncomplainer. The data suggests that fixing service failures provides an incredible opportunity. Yeah, no brainer, right? Sadly, most problems go unnoticed and unresolved. If you can overcome these three obstacles, you can get really good at problem resolution. And, if you can do that, your customers won’t have anything negative to talk about, will they? You can gain new skills by checking out my new training video, Working With Upset Customers. The course available on lynda.com, so you’ll need a subscription to view the entire thing. You can get a free 10-day trial here. 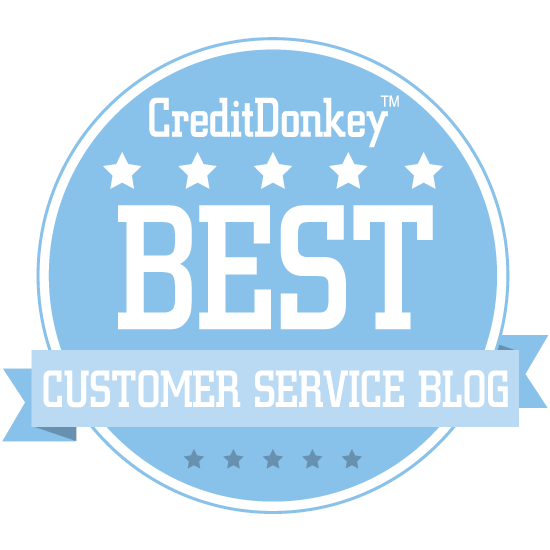 Customer complaints are a valuable source of information. They let us know when a customer is unhappy so we can try to retain their business. Complaints can also serve as an early warning system that helps prevent service failures by allowing us to fix small problems before they become big ones. A lack of complaints doesn’t mean things are going well. Noted customer service expert, John Goodman, estimates that only 50 percent of customers will complain about a problem. (The actual number varies by industry, company, and product.) Of those complaints, Goodman estimates that 90 percent are directed to frontline employees. In a recent post, I discussed reasons why frontline employees don’t pass along those complaints to management. This is the really scary group. They silently take their business elsewhere or they tell everyone they know (except for you) about your poor service. The damage to your reputation and your bottom line could be well underway before you even know about it. Here are five reasons why these customers might not be sharing their complaints with you. Does your company discourage customer complaints? Most customers won’t bother complaining to your company if it’s too difficult. Or, they’ll just Tweet it. I recently went online to register an LG television I had just purchased. Their registration link redirected me to the wrong page so I had to hunt around on the LG website for the correct page. This was a minor annoyance, but I’m an LG fan, so I decided to let them know. First, I tried to email. If you want to email LG you have to fill in 14 required fields in their email contact form plus acknowledge that you’ve read and agree to their data protection policy. No thanks. One of those Forsee website surveys popped up as I clicked out of the email form. I thought about giving that a try until I saw the survey. It consisted of 36 questions, 24 of which were required. Really?! I just wanted to tell LG about a small problem on their website, but they made it too difficult to be worthwhile. I decided to Tweet the problem to LG instead. Their responsive Twitter folks quickly got the message and fixed the link, but my complaint was now public rather than private. If you want your customers to complain, don’t make it so difficult that they feel like they’re being punished for trying to drop you a line. Many customers don’t complain because they don’t think it will do any good. Psychotherapist Guy Winch called these “self-defeating, self-fulfilling prophecies” in The Squeaky Wheel, his how-to guide for effective complaining. We don’t believe complaining will do any good so we don’t complain. Because we don’t complain, the problem doesn’t get fixed. Because the problem doesn’t get fixed, we continue to be angry with the company that’s responsible. Some customers don’t complain because they’re worried it will negatively impact an otherwise good relationship. I learned about this one from my friend Lenore. She and her husband had received poor service at one of their favorite restaurants. They thought about complaining, but were worried that the owner would back his employee rather than see it their way. In the end, they chose to write off a new employee’s rude behavior as a one-time occurrence because they didn’t want a complaint to escalate to the point where they felt like they wouldn’t return. You won’t get many complaints if customers feel they’ll be penalized in some way. 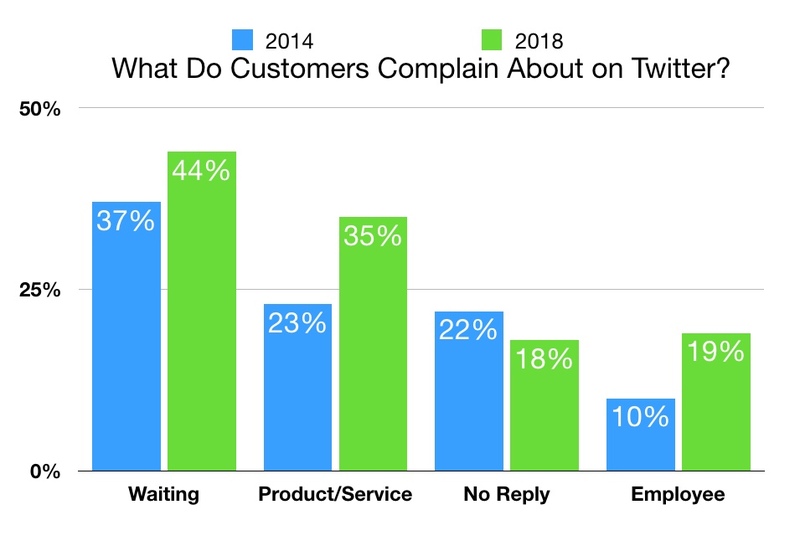 Complaining customers have been treated rudely, denied service, or worse. It only takes one gross YouTube video to convince customers to never, ever, complain about their pizza. Patrons of Amy’s Baking Company Boutique & Bistro in Scottsdale, Arizona were recently subjected to a barrage of profane verbal assaults in what BuzzFeed called the most epic Facebook meltdown ever. In one extreme case, a San Francisco bookstore owner tracked down the writer of a negative Yelp review and went to his house where she allegedly assaulted him. Customers won’t complain because there’s nothing in it for them. This is often the case with rude service. Customers aren’t trying to get a refund or have a defective product repaired. They simply feel slighted by a rude employee. Why take time to complain if they can just take their business somewhere else? How can you encourage complaints? Start by making complaining easy. Whittle down those 14 fields on your contact form to just three: name, email address, and message. Skip the never-ending surveys and stick with a few simple questions. Be available. Next, encourage customers to complain. Make sure none of the obstacles detailed above are present. Ask them directly, “How was everything?” Actually give a damn about the answer. Finally, take action. Prove to your customers that their complaint was worth their time. Resolve their issue. Thank customers for their feedback rather than lashing out or making excuses. After all, they’ve just helped you make your business better.